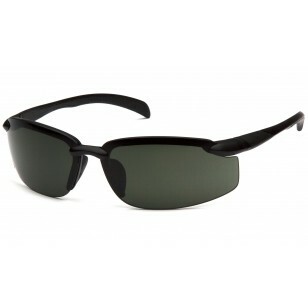 Venture Gear - Waverton - Black Frame/Forest Gray Lens - Flexible rubber nosepiece. Dual-injected straight-back temples. Scratch resistant polycarbonate lens provides 99% UVA/B/C protection. Packaged in a Venture Gear branded polybag with retail tag.